Say I'm losing my mind. If Microsoft® let you sell their software and keep all the money, would you do it? But Microsoft would never, ever do that. At least not with their BEST of the best, Greatest of the great FLAGSHIP products! Ever Created For ANYONE and EVERYONE Who Markets Online. And You Keep ALL The Profits! If you've been an Internet marketer for any length of time, you've no doubt heard of JVManager™. I'm going to allow some unbelievably LUCKY marketers to have Master Resale Rights to JVManager! ...and is still the best loved, most highly respected program of it's kind on the entire Internet. I'll show you why I'm making you this offer in a few minutes. Almost every Internet marketer I know has gone through at least one moment of high anxiety when he realizes he is totally, completely, irrevocably over his head. Suddenly, creating and selling a product online doesn't seem so easy. ...to burn out before they ever get started. The one and only solution... JVManager. If you're already using JVManager, then I don't need to say anything more about it, because you KNOW for a FACT that JV Manager has given you your life back, while adding to your bottom line in countless ways. And now, YOU can print your own money by doing the greatest service possible for their customers. Any and every person who plans on or is already marketing ANYTHING online. And that's a LOT of people! So what does JVManager do? A better question might be, "What DOESN'T JVManager do? Save Precious Time -- No more being endlessly bogged down with trivial tasks. You're now free to focus on the IMPORTANT stuff, like making money! Eliminate Frustration -- Everything is in one place, at your fingertips. No more fruitless searching for the key piece of information. Reduce Your Stress -- JVManager is the best stress reducer an Internet marketer can have. You will sleep better, and work better because you're no longer sweating the small stuff. It's taken care of AUTOMATICALLY. Easily Streamline Your Operations to make them smooooooooth flowing and practically effortless. Enhance Your Professional Image by appearing to your customer to be a big shot with a full time staff, even if you're just a little shot trying to be big. Enjoy Maximum Flexibility, have it your way, run your business the way YOU want. Possess Endless Marketing Options, just like the big boys. Do limited offers, special offers, bundled offers, timed offers, coupons, multi-tiered payments, bonus points, special affiliate deals, backend sales, upsells, membership sites and so much more. Discover Additional Income Streams with your current products and services. Have Happier Customers, because their needs are met IMMEDIATELY. And Maintaining Your Online Business. Full Master Resale Rights License to My Flagship Product? I no longer offer JVManager because there's a new Internet marketing management program in town. It's the one and only business platform on the entire Internet that beats JVManager. While Fantasos has even more whistles and bells than JVManager, it's NOT affordable to everyone. Fantasos is for the SERIOUS operator who is already generating serious online profits. ...and all the marketers who want to "test the waters" before investing in Fantasos. Frankly, the market for JVManager is far BIGGER than it is for Fantasos! But my focus, my ENTIRE focus, is on Fantasos. Offering your customers JVManager can be the BIGGEST favor you ever do for them. It can also be one of the most LUCRATIVE things you do for yourself. JVManager was developed with Internet Marketers in mind. It works PERFECTLY for Internet Marketers. That means IMers have used it and continue to use it to generate FORTUNES. It's very difficult (impossible!) to find a script other than JVManager or Fantasos that you can TRUST in dealing with your money, your affiliates, your sales and your JV Partners. JVManager has been the KEY ingredient in thousands of Internet campaigns that have generated hundreds of thousands of dollars. It's also the one tool most Internet marketers wouldn't give up unless you stuck a gun to their head. JVManager is a stable, PROVEN script that will continue to service online businesses for years to come. So WHY stop offering it? If you're already familiar with JVManager, the "Buy Now" link is at the bottom of this page. I'm only letting a maximum of 500 people purchase licenses. So when they're gone, they're gone. If you're not that familiar with JVManager, you may be wondering if you're going to have an uphill battle selling "last year's" model of software. While Fantasos is the ONE solution that is BIGGER (actually, it's HUGE) BETTER and "BADDER" than JVManager, it's almost too much "muscle" and definitely too "pricey" for many newer Internet Marketers. You're sixteen again, and you're about to get your driver's license. If your parents offer to buy you a $35,000 sports car, are you going to turn it down because it's not a Ferrari? JVManager has everything a new marketer needs to get his (or her) business automated and making money hand over fist. And YOU can be the one who offers it to them. You get the Master Resale Rights to sell access to the members' area of JVManager. You also get the rights to sell JVManager straight to your customers, too. Your customers can sell access to the members' area of JVManager to THEIR customers if they order and pay YOU for this right. The customers of your customers cannot sell anything; they can simply use JVManager. Only the Master Resellers (that's you, when you order from this page) are able to sell the resale rights for accessing the members' area of JVManager. So you see, JVManager is not just a script; it's a business. And you will get the right to sell & resell the access to this business. What happens when your customers are ready to upgrade to Fantasos? Sealing the deal and earning YOU a big FAT commission! - You cannot edit the sales letter or the thank you page/s, other than adding your own details (name, order link, special bonuses, etc.) on the sales letter. - You will be responsible for supporting your customers. ATTENTION: The last version of JVManager is 100% STABLE and installation is a matter of 1 click, so chances are you will not have to deal with many technical requests, but in all cases you need to support the script. There are JVManager experts around and they can offer their services to you. - Your customers can also access the forum of JVManager where answers are given to many questions. That forum is "unattended" so it should be used only for getting the knowledge inside it. People can post there, but we do not attend/control or respond to messages. Again, we have focused on Fantasos and cannot maintain 2 streams of support. JVManager's experienced users will be there though and can assist everybody. - It is HIGHLY SUGGESTED and STRONGLY RECOMMENDED that you ALWAYS sell JVManager for at LEAST $97, and any price above that for the resale rights with $197 the suggested one. It's a poor marketer (as in "lousy" AND "broke") who sells on price alone! Add your own bonuses, create your own marketing twists, use your imagination, and make REAL MONEY. You will hurt no one MORE THAN YOURSELF if you sell JVManager for less than the recommended $97. Your reputation in this business is EVERYTHING, and no one wants to work with someone who's dumb and desperate. - You can offer JVManager to your members if they pay you at least $67 per month for accessing your membership site. You can offer it to your new members without resale rights and arrange an offer for the resale rights to your loyal members. - You cannot "package" JVManager with any other product and sell everything for one price. - You can offer JVManager as a Bonus to a product of YOURS (products acquired by any kind of rights are not considered as yours) for as long the price of the product or service is at least $97. - You cannot give away JVManager. - You or your customers are NOT entitled to a free upgrade to Fantasos (of course.) They can instead order Fantasos through a discount from you and you will get a coupon for that reason that you can distribute. - You cannot sell JVManager or the resale rights or access to it through auction sites like eBay(TM) etc. - You do not get a Private Label Rights license; this means you cannot modify the script in any way or claim the copyright of it. - You cannot use the trademarks of "JVManager" and/or "Fantasos" in any way (example: domain names) other than re/selling the script through your own sites. Q. Can I sell JVManager without any rights for less than $97? A. As mentioned we cannot fix prices. But the official suggested price is $97 for the JVManager without any rights. In all cases I would personally appreciate it if you complied with the official price. This is not a legal obligation of yours, rather than an ethical one. Q. What price should I use to sell the resale rights of JVManager? A. Any price above $97 with $197 the suggested one. It's up to you. However for your information, sales do not come because you will use a lower price but because of the personal twist you will offer in your deal. Remember that. Q. Can I offer 100% commissions to my affiliates? Q. Is there a limit to the commissions I can offer to my affiliates? A. Please do not offer more than 95% in commissions. In all cases your affiliates should NOT be able to order JVManager with or without rights through their affiliate links. Q. Should I offer a Guarantee aka. a refund right to customers? A. Yes in all cases. This is a must for your business anyway. FYI customers can reverse an order and also ask for a refund directly if you use any online retailer like Paypal, ClickBank, 2checkout, etc. Q. Can I use the word "jvmanager" in my URL? Q. Can I upsell Fantasos to my customers? A. As mentioned, you will get a coupon you can use for offering the chance to your customers to order Fantasos through a discounted price. That coupon will be offered to MASTER RESELLERS only, aka. YOU. Q. Can I buy the Private Label Rights for JVManager? A. Yes for $500,000. :) Seriously now, the answer is no. Q. Can I offer JVManager as a Bonus to a product I promote as affiliate and costs more than $67? A. No. You can offer it as a Bonus to a product of YOURS. Please re-read the terms or the MRR license above. Q. Can I offer JVManager to a membership site with a monthly fee of $47? A. No. You can offer it as a Bonus to a membership site with a monthly fee of $67 or more. Please re-read the terms or the MRR license above. Q. Can I deliver JVManager to a CD? A. No. Everybody will get the access to JVManager through a centralized members' area on our servers. Please re-read the terms or the MRR license above. Q. Will you offer the PSD files of JVManager's images? A. No and there is no need for that. You do not get PLR - you get MRR. So you do not need to create your images or even change the existing ones. Please re-read the terms or the MRR license above. After your purchase you will be able to get your codes and access the master resellers' area. You will get everything instantly today! Less than any person in their right mind would think. They're like bees going from flower to flower. It gives them experience, but it's frustrating and time wasting and just plain annoying! Once you begin using JVManager, you can breathe a sigh of relief. This one piece of remarkable software takes care of your every business need. So I really want to give the opportunity to all Internet marketers to own the system that can and will support their online future. PLUS you can make significant money by selling access to the members' area. So... what should be the cost for such an offer?? I could easily charge $4997 for the master resale rights license. The last official price of JVManager was $497. In fact, before the release of Fantasos I had some people offering me $10,000 each to get a non exclusive resale rights license. But the price is not $4997. This is only $200 more than people have been paying for years JUST FOR THE SCRIPT! And you're getting a MASTER RESALE RIGHTS LICENSE, meaning you can not only sell the script, you can also sell the right to sell the script. ...for as long as you want. Because JVManager is not "going out of style." It's currently being used day in and day out by THOUSANDS of marketers all around the world. It is the one indispensable tool they RELY on for their very living! The only script on the planet that can do everything JVManager can do is Fantasos, and Fantasos costs some thousands of dollars. ...but too late now, you've got instant access to the order button below. So if you don't click that link in time, you'll have to settle for getting Resale Rights from someone else who got the Master Resell Rights. What, you want bonuses, too? This is the first time resale rights have ever been offered for this script! Here's the secret to managing your PayPal® transactions with the ease, power and flexibility even a CPA would love... But you DON'T have to be a CPA to use it! Turbo Transactions Manager is the fastest and easiest way to download, import, sort, file and report on your PayPal® transactions. Imports your PayPal® transaction records using files generated by the PayPal® Download History Manager. PayPal® lets you choose the date range and transaction types. This means you can download as frequently as you want, even every day if you need to. And don't worry about accidentally importing duplicate information -- Turbo Transactions Manager is too smart to let you do that. Or create your own custom categories and Turbo Transactions Manager will remember and use them! You can even choose multiple sort and filter options for several of the categories. You control the flexibility; you control the power with point-and-click ease. Field Picker lets you choose just the data fields that you want to see on screen and in your reports. The fully-flexible interface lets you add, delete and restore any of the available transaction fields. Print Reports using any available filter condition and the Field Picker settings. Turbo Transactions Manager outputs clean, well-formatted reports to any installed printer on your PC or network. You can even print to PDF file if you have a PDF driver installed. Export Records to industry standard CSV files using any available filter condition and the Field Picker settings. Choose "With headings" or "Without Headings" depending upon your software requirements. The exported file can be imported into MS Excel® and many other programs including popular accounting software. Finally you can manage your PayPal® revenue in a professional manner. You cannot edit the sales page other than adding your name and order link. fee is $67 or more. 5. You can offer the product as a Bonus to any product that costs more than $67. 6. You cannot bundle the product into a Paid or free Package. 7. You cannot sell the product on Auction Sites. 8. You cannot sell the product with Resell Rights. 9. You cannot sell the product with Master Resell Rights. 10. You do not get Private Label Rights, thus you cannot modify the script in any way. 11. You cannot give away the product. 13. Your License cannot be transferred to a third party. 14. You'd not use any misleading, immoral, illegal or unethical promotions including sending UCE - unsolicited commercial email, also known as SPAM to sell the product. of the script who can assist you to supporting the scripts. 6. You can offer the product as a Bonus to a product that costs more than $97. 7. You cannot bundle the product into a Paid or free Package. 8. You cannot sell the product on Auction Sites. 9. You cannot sell the product with Resell Rights. I don't believe in price fixing. The suggested price is a measly $97. When you sell the script with resale rights, CHARGE MORE - $197 if you want. How much more is up to you. If someone were to sell JVManager for less, they might make a few more sales, but it's highly doubtful they would make more money. For example, if marketer "A" gets 30 sales at $97, and marketer "B" gets 40 sales (that's 10 sales MORE) at $67, marketer "A" still makes $230 MORE than marketer "B." Now let's say marketer "C" is a real dope. He sells JVManager for $27. In order to make as much money as marketer "A", he would have to sell 108 copies!!! Only someone who enjoys being broke while looking like a dummy will sell JVManager for less than $97. And since I know my customers and my affiliate's customers are CLASS ACTS, no one is going to be doing this. Someone who wants/needs JVManager and is willing to invest the time to properly learn it will have no problem paying $97 or more. The few extra people who are persuaded to purchase on PRICE ALONE will most likely never even use the script. They will, however, have no problem asking for a refund, thus lowering even FURTHER any bit of profit made by someone selling on price alone. For this reason, too, do NOT sell JVManager on an "installment" plan. Your installment customer will get the script and then cancel the installments. I want you to make PROFIT. So before you click the buy now button, you must agree not to shoot yourself in the wallet by lowering the price and/or selling on installments. Also PLEASE: DO NOT ORDER if you are not 100% determined about this opportunity because NO REFUND RIGHT IS OFFERED. There is NO NEED to "test" the "money-making-possibility" of JVManager... Either you are willing to jump on this chance or not. If you are undecided then this deal if not for you. ...and get paid handsomely for it? ...I imagine there will be quite a few marketers who earn five figures as a JVManager Licensee. But first, you've got to grab your license while it's still available. Remember, this offer is strictly limited to 500. If it's not working... you're too late. and Turbo Quiz Generator INCLUDED. 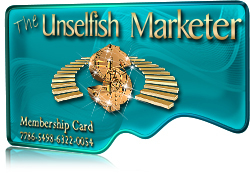 and services provided by Unselfish Marketers Co. Ltd. IF YOU PREFER US TO INSTALL YOUR JVMANAGER IT'LL COST YOU NOTHING..! JVManager(R) and Fantasos(TM) are TRADEMARKS of The Internet Company LLC.